Gasoline prices typically fluctuate depending on the season, for example, going up when more people are traveling in the summer. Even a few extra cents a gallon can quickly add up to lots of dollars. But, with some attention to the following tips, you can keep costs to operating your vehicle as low as possible. The same amount of auto insurance on the same vehicle does not always cost the same from different companies. No matter whether you drive a compact that averages 30 mpg or a SUV that averages 13 mpg, you can cut gasoline costs by paying attention to where you buy gas, how you maintain your vehicle, and how you drive it. Buy the grade of gasoline the manufacturer recommends for the vehicle. Putting plus or premium in a vehicle designed to run on regular just sends $$$ out the tailpipe. If your vehicle knocks severely on the recommended grade (not just occasional pinging under a load), have it checked for other potential problems. Comparison shop for cheaper prices. Some cities have websites where consumers post their finds of stations with cheaper prices. You may find a link to your area on the EPA's fuel economy website. Use bargain brands of gasoline. "No name" gasoline is usually of the same quality as that of national name-brand stations, but often sells for less. Tune-up your vehicle on its recommended schedule. A vehicle that is badly out of tune can increase your gas consumption by 4%. Clean or replace clogged air filters. A clogged filter can lower your mpg by 10%. Keep tires inflated to recommended pressures. Under-inflated tires burn more gasoline. Each 2 psi tires are under-inflated increases gas consumption by 1%. Avoid idling for more than 30 seconds. Beyond that time, experts say its cheaper to turn-off the engine and go into the establishment rather than through the drive-thru. Smoothly does it. Avoid jack-rabbit starts and stops and aggressive driving. Smooth acceleration and stopping, and not weaving aggressively through highway traffic, first speeding up then braking suddenly, can save you up to 33% at highway speeds and 5% in town, according to the EPA. Watch your speed. Or pay the equivalent of about 10 cents a gallon for every 5 mph over 60 mph you go, says the EPA. Combine errands. A warm car uses less fuel than a cold one. So combine trips and errands whenever possible. Also, modern cars are engineered to warm up on the go, so you need not sit for several minutes warming it up in the morning. The same amount of auto insurance on the same vehicle does not always cost the same from different companies. Also, the cost of insurance varies widely between makes and models of vehicles. Auto insurance is regulated at the state level and rates vary from state to state. In 2015, Consumer Reports completed a two-year investigation into how auto insurance rates are determined. They analyzed more than two-billion insurance price quotes from more than 700 companies in all U.S. ZIP Codes. 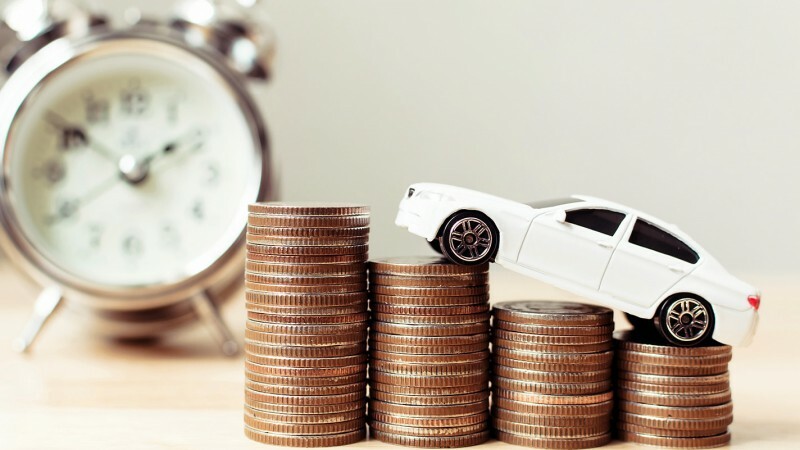 They found that auto insurance companies are now using proprietary credit scores and other socioeconomic factors more than driving habits to determine premiums. Only 3 states, California, Hawaii, Massachusetts, prohibit the use of credit scores in determining rates. Comparison shop rates for your vehicles from two or three providers every couple of years. For collision coverage, carry as high a deductible as you are comfortable with. For an older vehicle, consider dropping collision and comprehensive coverage. Caution: Always keep adequate liability coverage. When shopping for a new vehicle, compare the insurance costs of each model on your short list of favorites before settling on a final choice. Review your credit report regularly to catch any errors. If you are in the market for a new vehicle, or soon will be, you can save yourself a bundle by selecting a vehicle that not only meets your driving needs but that also costs less to drive. Consider these factors. Buy used. Selecting a one- or two-year-old model of the vehicle you like can offer tremendous savings on retail price, sales taxes, property tax/tag fees (depending on your state), and insurance costs. Consider and compare fuel economy. Let's compare a gas sipper with a gas guzzler for a consumer who drives 12,000 miles per year. The annual fuel cost at $2.50 per gallon for a vehicle that averages 30 mpg would be $1,000, for a vehicle that averages 12 mpg, $2,500. The difference is $1,500 annually, or $125 a month. Many gas sippers also have good crash and safety ratings. Check out fuel consumption for new and used cars after 1983 on the EPA's website: www.fueleconomy.gov. Up to 4 vehicles at once can be compared side-by-side.